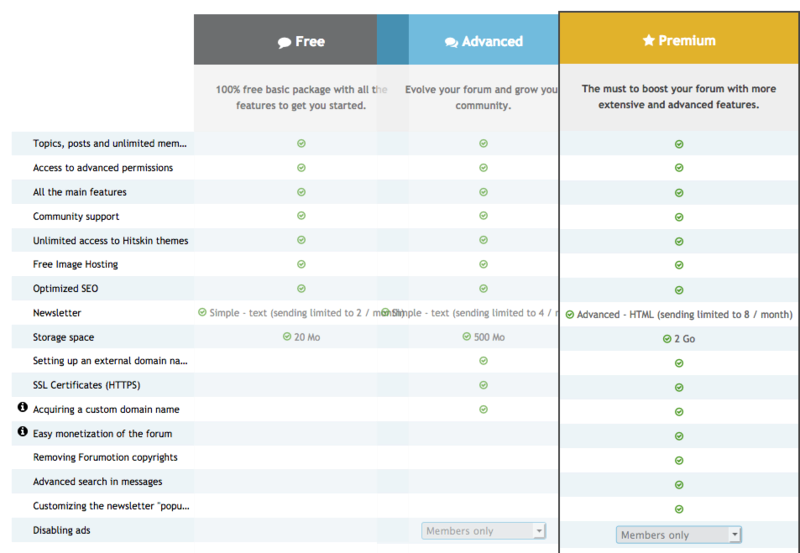 Besides the custom domain name we have for the forum, we have upgraded to the Premium package from Forumotion Forums and we now have additional features to the members of the forum. Storage space for the gallery went from 20MB to 2 Gigs! and removal of all Forumotion Copyrights on the forum. see the image below for the additional features not listed.